Master the Coding Interview Data Structures Algorithms | Free eBooks Download - EBOOKEE! Posted on 2018-12-17, updated at 2019-03-25, by everest555. Want to land a job at a great tech company like Google, Microsoft, Facebook, Netflix, Amazon, or other companies but you are intimidated by the interview process and the coding questions? Do you find yourself feeling like you get "stuck" every time you get asked a coding question? This course is your answer. Using the strategies, lessons, and exercises in this course, you will learn how to land offers from all sorts of companies. Many developers who are "self taught", feel that one of the main disadvantages they face compared to college educated graduates in computer science is the fact that they don't have knowledge about algorithms, data structures and the notorious Big-O Notation. Get on the same level as someone with computer science degree by learning the fundamental building blocks of computer science which will give you a big boost during interviews. You will also get access to our private online chat community with thousands of developers online to help you get through the course. Andrei is the instructor of the highest rated Web Development course on Udemy as well as one of the fastest growing. His graduates have moved on to work for some of the biggest tech companies around the world like Apple, Google, JP Morgan, IBM, etc... He has been working as a senior software developer in Silicon Valley and Toronto for many years, and is now taking all that he has learned, to teach programming skills and to help you discover the amazing career opportunities that being a developer allows in life. 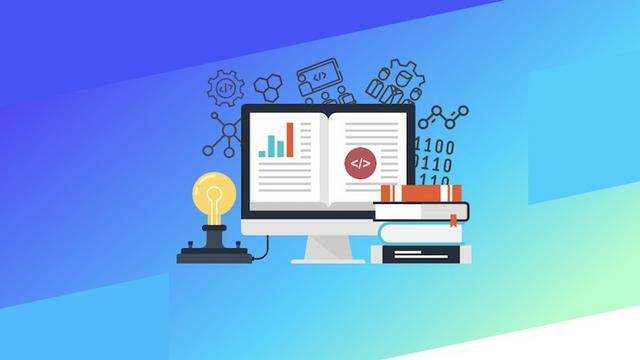 Having been a self taught programmer, he understands that there is an overwhelming number of online courses, tutorials and books that are overly verbose and inadequate at teaching proper skills. Most people feel paralyzed and don't know where to start when learning a complex subject matter, or even worse, most people don't have $20,000 to spend on a coding bootcamp. Programming skills should be affordable and open to all. An education material should teach real life skills that are current and they should not waste a student's valuable time. Having learned important lessons from working for Fortune 500 companies, tech startups, to even founding his own business, he is now dedicating 100% of his time to teaching others valuable software development skills in order to take control of their life and work in an exciting industry with infinite possibilities. Taking his experience in educational psychology and coding, Andrei's courses will take you on an understanding of complex subjects that you never thought would be possible. 2018-11-17Udemy - Data Structures & Algorithms - Interview !! No comments for "Master the Coding Interview Data Structures Algorithms".